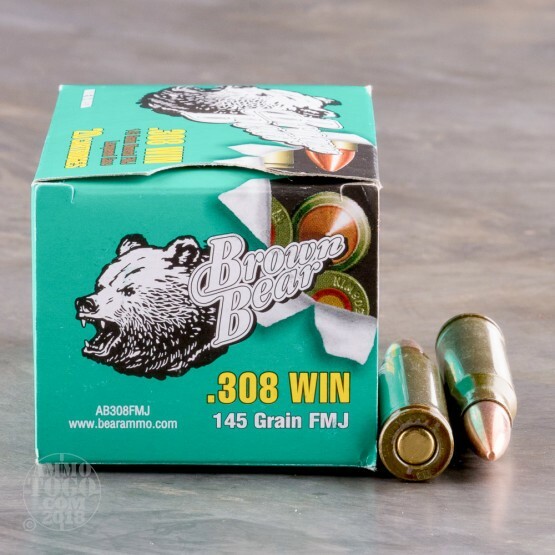 Brown Bear ammunition is manufactured by the JSC Barnaul Machine Tool Plant, the premier ammunition facility in Russia. Best known for producing high-quality, precision-engineered ammo for the Russian military, Barnaul also offers reliable and affordable rounds for civilian use. 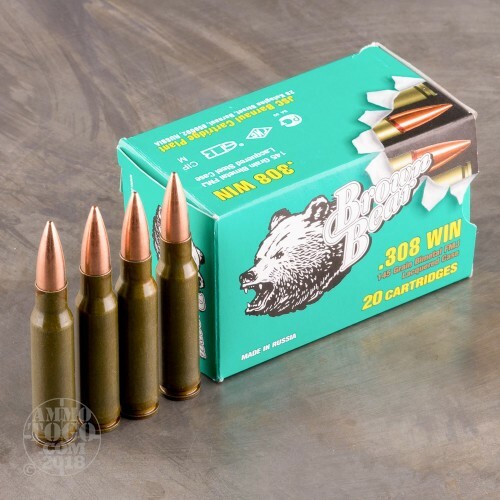 An ideal option for the shooter who likes to stock up, this package contains 500 rounds of Brown Bear .308 Winchester ammunition. 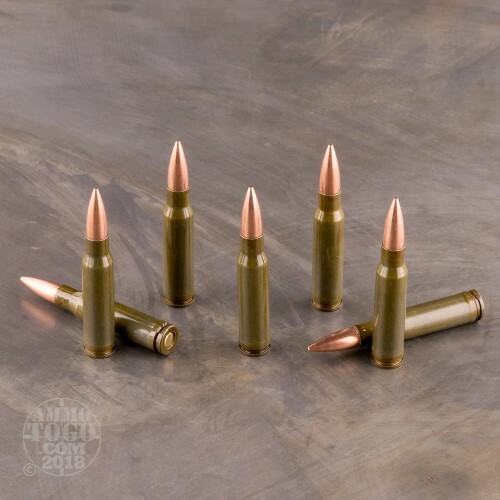 Each round is loaded with a 145 grain full metal jacket (FMJ) projectile. 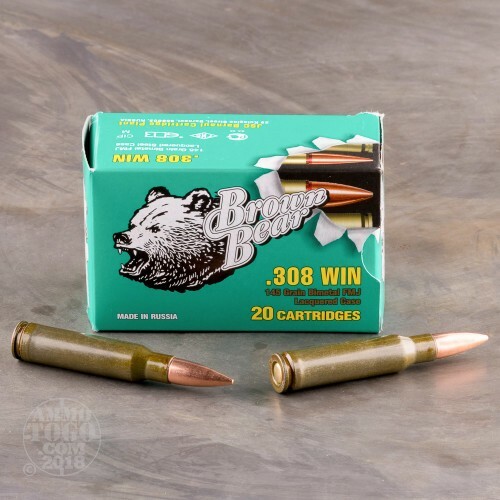 Delivering minimal terminal expansion, these Brown Bear rounds make perfect practice rounds, whether you’re shooting at paper, running repetitive tactical drills, or plinking metal targets in your backyard. This new production ammo is non-corrosive, Berdan primed, and features lacquer coated steel casings. Sealed for extra moisture protection, these lacquer-coated cartridges can be stored long-term and still shoot reliably. Coated steel casings also provide smoother feeding, function, and extraction than non-coated steel rounds. Leaving the muzzle at a velocity of 2754 feet per second, each round delivers 2444 foot pounds of muzzle energy.